Michele Parkins is an Occupational Therapist specializing in working with children and families with Sensory Processing and Integration Disorder and challenges in social emotional development. Michele is a fellow of Dr. Lucy Jane Miller, OTR and faculty of Sensory Treatment and Research Institute. She educates therapists from all over the country on treatment for sensory processing disorder following the STAR model. She is also SIPT (Sensory Integration and Praxis Test) certified. Michele advocates for all children and families impacted by Sensory Processing and Integration Disorder to help them and others to understand the impact of this disorder on social emotional functioning. She believes that challenges in sensory processing always lead to challenges in emotional regulation, developing and maintaining relationships and social skills. 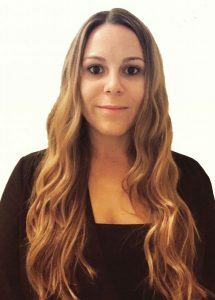 She has embarked on a journey to learn more to support children and families by engaging in Certification in Infant and Early Childhood Mental Health at Montclair State University. She is DIR certified and is faculty of Profectum Foundation where she educates therapists all over the world on social-emotional development and the DIR model. Continuing her advocacy work, Michele is very active on social media and blogs about the impact of sensory processing challenges on regulation, relationships, and social emotional capacities. She also works with local schools and communities to create spaces for sensory lifestyles so all kids can benefit from enhanced sensory motor experiences. Michele Parkins has advanced training in visual spatial capacities working closely with Serena Wieder, PhD, author of Visual Spatial Portals to Movement, Learning and receiving extensive visual spatial training working with developmental optometrists. 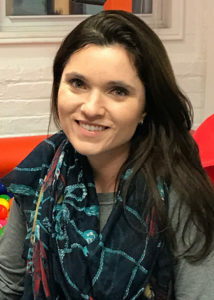 She co-developed a unique handwriting program – Connect Experience Write® – that highlights the importance of affective engagement in learning as well as sensory integration using music and movement to teach letter formation and pre-writing skills. Michele Parkins is passionate about working with families and other therapists and she continues to do so as a clinician and educator. She also continues to provide consultation to schools as she has done for over 10 years. Michele is also a mother of two children with sensory processing differences . She uses her real life experiences to help her clients better understand the impact of SPD on family dynamics and relationships and the day to day demands of life with sensory processing differences. Elizabeth Rice is an occupational therapist at Great Kids Place. She is a specialist in Sensory Processing Disorder (SPD) and social-emotional development. Liz has advanced training and certification from the Sensory Treatment And Research (STAR) Institute, developed by Dr. Lucy Jane Miller, OTR. She is DIR/Floortime certified in social-emotional development through the Profectum Foundation. Liz is Interactive Metronome certified and trained in the use of Listening Programs including the Safe and Sound Protocol. She is also trained in NDT (Neurodevelopmental Treatment) using guided or facilitated movements as a treatment strategy to ensure efficient motor control and correlation of input from the tactile, vestibular and somatosensory receptors within the body. Liz has experience working in the New Jersey public school system with students living with developmental delays, behavioral challenges, physical disabilities, and autism spectrum disorder. She designed a sensory and occupational therapy treatment room for a school district. Liz also has experience working with adult orthopedic and neurological rehabilitation populations at the Kessler Institute of Rehabilitation and JDT Medical Rehabilitation Center. 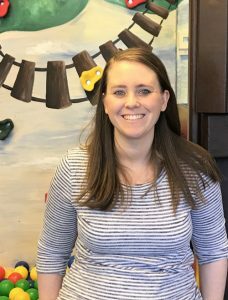 Prior to becoming an occupational therapist, Liz worked with children on the autism spectrum as a special education teacher’s assistant in the DIR/Floortime based inclusion preschool at the Ben Samuels Children’s Center at Montclair State University. She is a graduate of Kean University where she earned a Master of Science in Occupational Therapy and graduated with honors. Liz obtained her Bachelor of Music from The Hartt School at the University of Hartford where she majored in vocal performance and has a strong background in theater and opera. Her time spent as a performer contributes to the creativity in her practice and therapeutic use of self. Liz met Michele when her research group from Kean University helped conduct the pilot study for Connect Experience Write® (CEW), which Michele co-developed. The Kean research group sought to discover the efficacy of CEW, a handwriting program involving music and movement, with children who are non-writers. The research suggested that the CEW program improved the participants’ handwriting ability. Liz’s research group presented their data via poster presentation at the state and national levels for the New Jersey Occupational Therapy Association (NJOTA) and the American Occupational Therapy Association (AOTA). 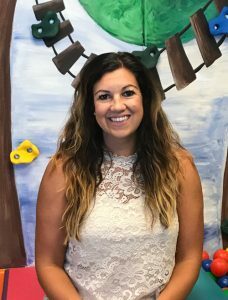 Kelly is an Occupational Therapist specializing in the pediatric population, specifically sensory processing disorder, Autism, developmental delay and ADHD. She is a specialist in Sensory Processing Disorder, certified in the evaluation and treatment of Sensory Processing Disorder by the Sensory Treatment and Research Institute. She has experience working in both Early Intervention Programs and outpatient therapy clinics. 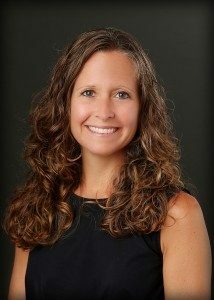 Kelly is also Full time Faculty for Kean University’s Occupational Therapy Department where her responsibilities include client treatment, program development, grant writing, student supervision, continuing education coordinator and teaching at the graduate level. AnnMarie Murphy is an Occupational Therapist with experience in outpatient clinics, early intervention, as well as school based therapy. Throughout these settings, AnnMarie works with children with developmentally delays, Sensory Processing Disorders, Autism Spectrum Disorders, and ADHD. Prior to becoming an Occupational Therapist, AnnMarie worked as a Behavioral Therapist providing ABA to children with ASD. After completing her Master of Science in Occupational Therapy, AnnMarie went on to obtain a Doctor of Occupational Therapy degree at Temple University with a focus on pediatrics. While at Temple, she became certified in the evaluation and treatment of Sensory Processing Disorders through the Sensory Treatment and Research Institute. AnnMarie’s primary research area focuses on co-morbidities of Sensory Processing Disorder, specifically relating to GI Disorders and Complex Regional Pain Syndrome. With a background in psychology, AnnMarie is interested not only in understanding the neurobiology of SPD, but the impacts it can have on family occupations/dynamics as well. Amanda Newchok is a passionate occupational therapist with eighteen years of experience working with the pediatric population. She received her Bachelor of Science degree in occupational therapy and her advanced Master of Science degree in Healthcare Management. She specializes in the treatment of children with Autism Spectrum Disorders, Sensory Processing Disorder, and ADHD; developing sensory-based supports for individuals with varied sensory, behavioral, and social emotional needs. She also has vast experience treating individuals with many other physical and cognitive disabilities. For over 10 years, Laura has been providing services to individuals with social, emotional, and developmental weaknesses in both school and private settings. Her advanced knowledge in the areas of child development, visual-spatial capacities, MNRI®, developmental and behavioral assessments, social skills, DIR ® Floortime, and Crisis Prevention Intervention has provided her with many opportunities to work alongside leading professionals to train and coach educators, families, first responders, and medical personnel in developmental methodologies, positive behavioral support, and individual differences. 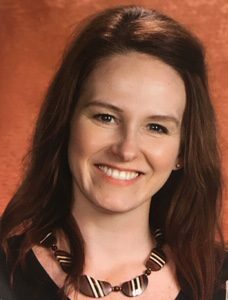 Laura holds a Bachelor’s Degree in Psychology and is currently enrolled in a graduate program, pursuing a Dual Master’s Degree in Clinical and School Counseling, as well as a certification in Play Therapy. She is excited about joining Great Kids Place and looks forward to implementing programs that support children in reaching their full potential.